House of Nines Design: Swatch Service! Putting together the wedding outfit of your dreams? Need some help getting everything coordinated for a together, polished look? Want to buy one of our hats online, but unsure which colors you like the most, or which will go best with a special outfit? We can help with that. We offer a swatching service, available here through our Etsy store. This service is especially helpful for customers who can't make it to our studio to see materials in person, but customers who come to the studio often go home with swatches as well. We have hundreds and hundreds of bolts of vintage veiling and ribbon, boxes and boxes of fabrics and feathers, and dozens of felts and straws to choose from. The swatching service allows you to have a bit of all this magic in hand as you think over your options. Just give us an idea of the kind of hat you're going for and the colors you have in mind, and we'll send you a packet of swatches of hat materials to choose from (felt, ribbon, fabric, veiling, etc. etc.). Choose which ones you like best and use them to color match against the fabric of a special outfit, your wedding colors, or even your whole wardrobe. We're also happy to provide recommendations. Here are just a few of the many customers who have used our swatches to help them choose. 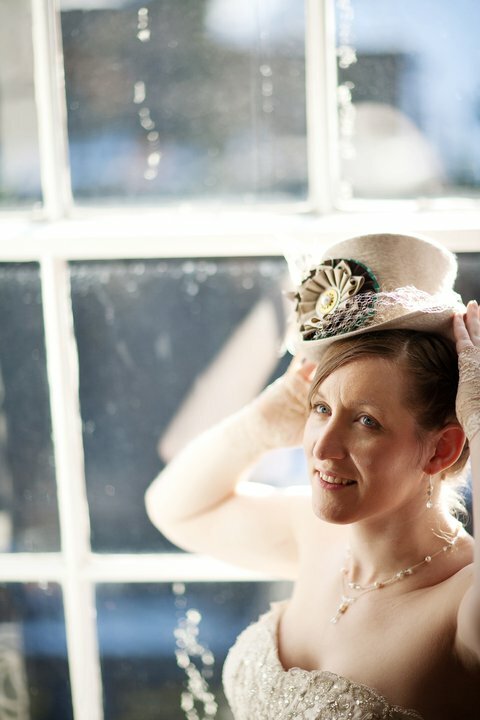 Fiona ordered a custom wedding hat from the UK. The swatches she received allowed her to find the perfect taupe felt to match her dress, and the perfect ribbon colors for the cockade on the hat to match her other wedding colors (chocolate brown and turquoise). Frequent customer Jo in Australia uses swatches regularly to help choose materials for her custom creations. By now, she's probably built up a small library of swatches! 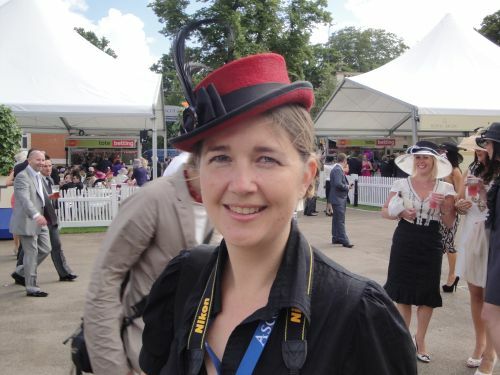 Catherine Morse Brown (shown here at the races at Royal Ascot in the UK) and her husband Owen are the geniuses behind Guy Morse Brown Hat Blocks. They have several House of Nines Design hats, the materials for each one chosen from a set of swatches we sent them. The hat shown below was actually a surprise birthday gift for Catherine bought by Owen after he chose the materials for it from a swatch packet. So, you can use swatches for gift hats, as well. The service costs $20, but that amount is credited toward your hat order if/when you place one, so if you buy a hat the swatch service ends up being free.